Assign there a few ad spots and select all the ads which you want to activate. It’s recommended to start with 3 ad positions: Beginning, Middle and End of post. 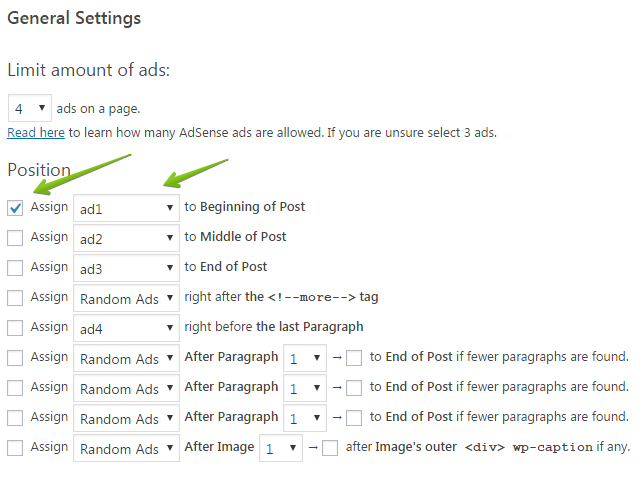 You can enter the same AdSense code for all different ad spots and use WP QUADS to customize it. 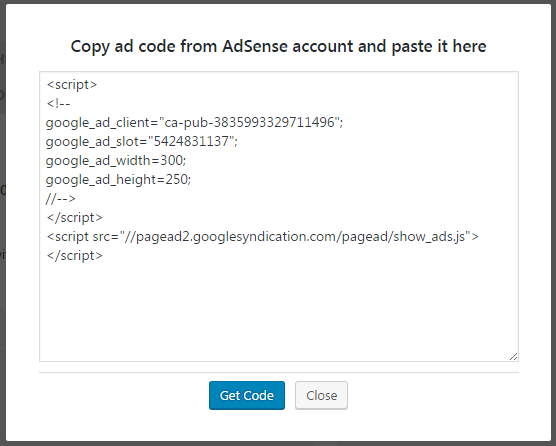 No need to create separate AdSense codes in the Google AdSense Dashboard! A popup window is opening where you can paste the ad code from your AdSense dashboard. Click on Get Code and the fields Slot ID and Publisher ID will be populated automatically. Let’s define a few layout options like specifying the floating of text around the ad and assigning margin values which add some space on all four sides of the ad. If you are using WP QUADS PRO you can also disable the ad on specific devices and you are allowed to define different ad sizes depending on the type of user device, whether it’s a desktop, tablet, or mobile device your visitor is using. Save it and open one of your posts to check if the ads are appearing on your site. If the ad is not visible, first you need to find out if the plugin is working as expected. If you find these coxes code it’s very likely that WP QUADS is working and injecting the ad code as supposed into your site. The reason why you do not see the ad rendered on your website could be that either the ad code is broken or not activated by google at all. If your website has been granted for a short time for the AdSense Program it can take up to 24 hours before ads are appearing on your site. To check if your issue is affected by this error you can specify a fixed size for the Adsense ad. Use a common size like 300 x 250. Save the settings and check if this ad is shown on your site. If that’s the case you can specify certain ad sizes for all your devices to bypass this issue. 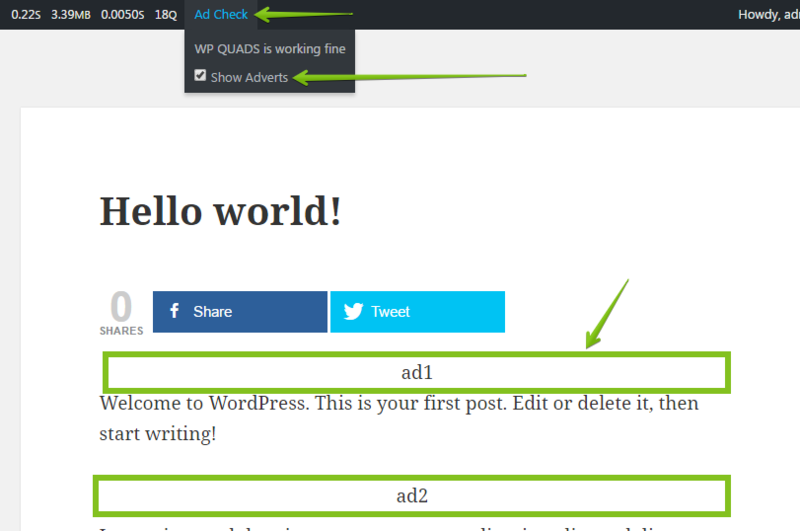 Use the Advanced Options of WP QUADS PRO to do so. Read this article for more troubleshooting options.